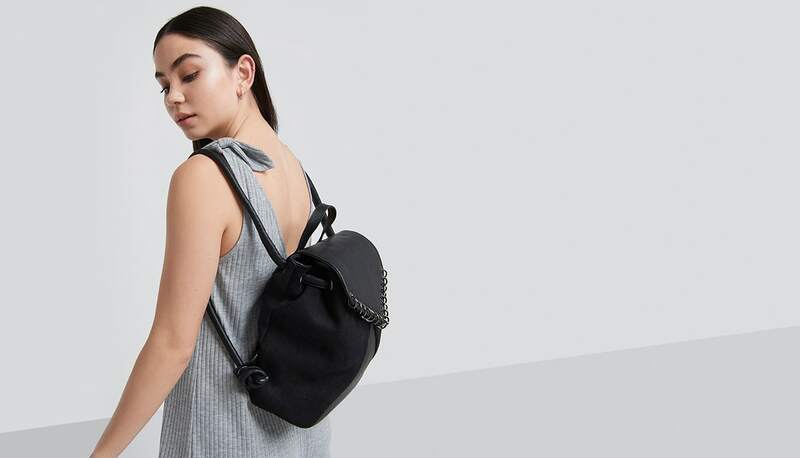 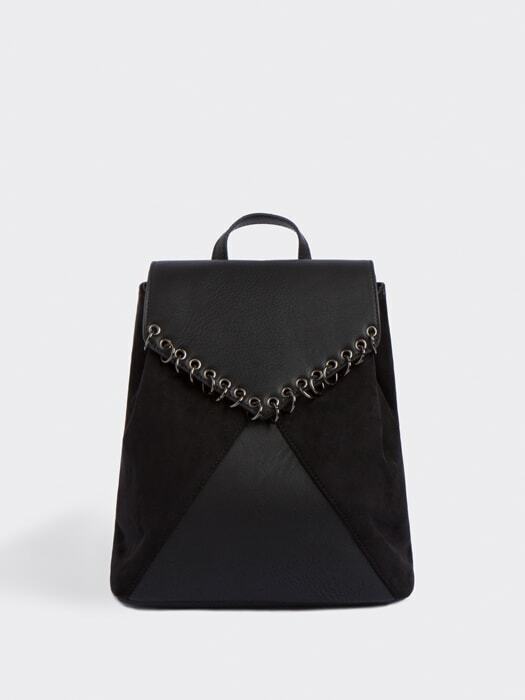 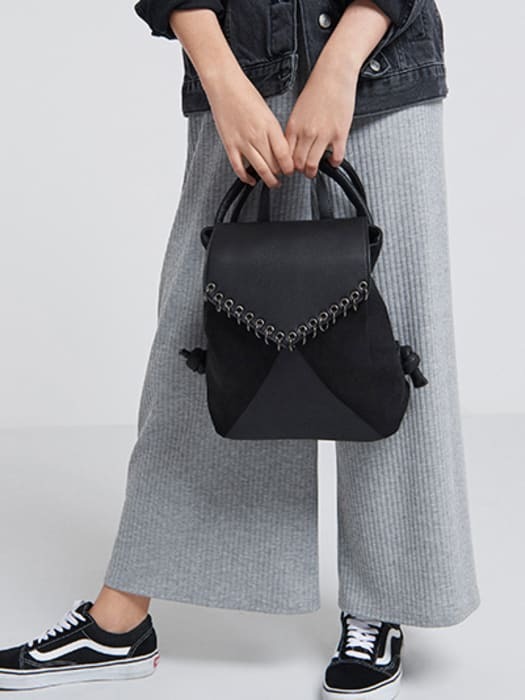 Ditch the handbag in favour of our faux suedette and leather rucksack, in a wear-with-all black with jump-ring detail. 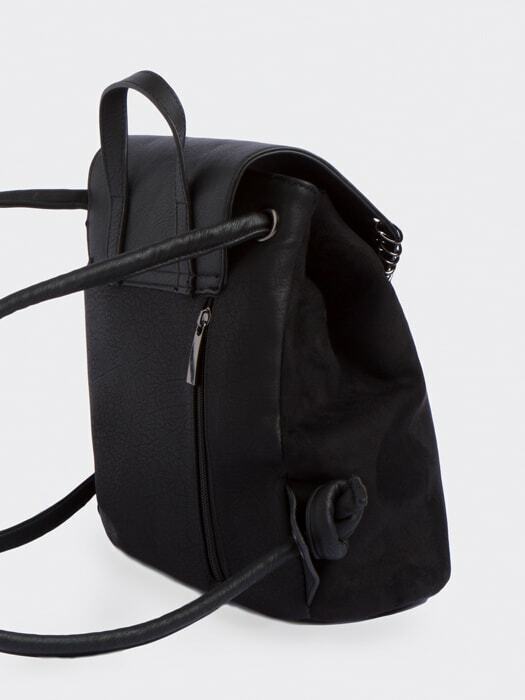 Knotted straps add to the design, while interior pockets and magnetic fastening will ensure your goodies stay in place. 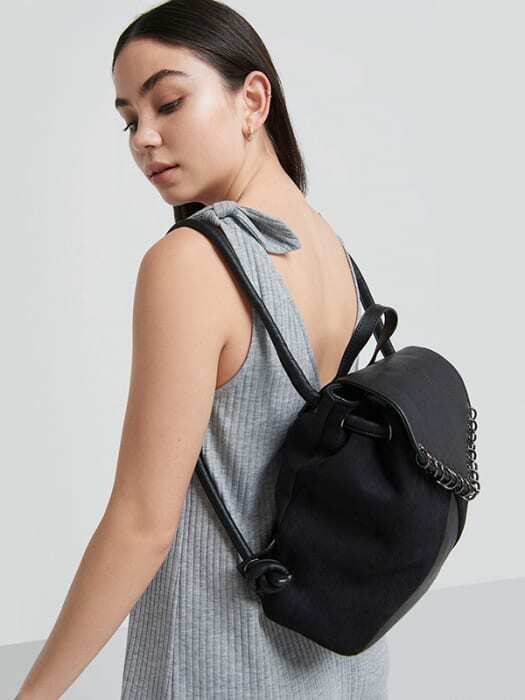 Sling it over tops, sweaters and slip dresses alike for an instant style upgrade.